Gipsy Lane Advanced Dental Care is a highly experienced family dentist in Reading, providing a full range of care for our families who attend Gipsy Lane Advanced Dental Care. Our dentists recommend for children to start visiting the dentist as soon as possible. This enables them to get to know the child and to prevent decay from occurring. The child will soon see that going to the dentist is nothing to be scared about. At Gipsy Lane Advanced Dental Care we also have highly experienced hygienists who can help keep your child’s teeth nice and clean. Orthodontic treatment is provided by our Orthodontist, Dr John Alper. Mouth cancer, also known as oral cancer, is a form of cancer which occurs when malignant growths develop in the mouth, throat, lips or tongue. It is becoming increasingly prevalent and, unlike other forms of cancer, survival rates have not improved in recent years. This is largely due to the fact that many people are unaware of the causes and symptoms, with cases often being diagnosed at an advanced stage when there is a high risk of the cancer spreading to other parts of the body. 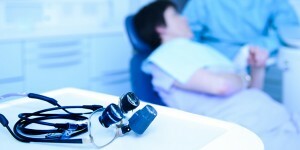 As part of our General Practice Dentistry services we advise all our clients to attend regular dental check-ups. We look out for symptoms and signs during routine check-ups and also provide a mouth cancer screening service. Regular dental check-ups (every 6 months) allow us to keep an eye out for warning signs and diagnose mouth cancer as early as possible. 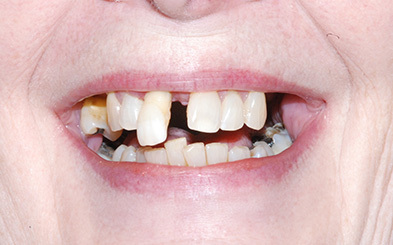 Patients who have lost teeth or who have a number of weakened teeth as a result of injury or decay may require full mouth restoration. We use our expertise and experience in cosmetic dentistry in tandem with the latest technology to create functional, attractive smiles to restore confidence and self-esteem. A course of treatment will vary according to the individual, but common treatments include root canal treatment, crowns and dental implants. 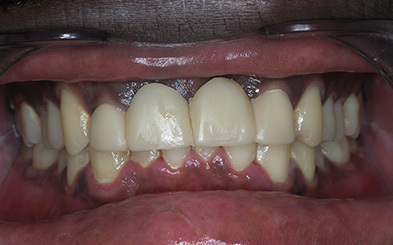 The aim is to restore function to the mouth and create a healthy smile. Gipsy Lane Advanced Dental Care is a restorative dental surgery in Reading and offers a referral service for advanced restorative dentistry, together with referrals for advice on treatment planning for complex cases. Carrying out complex restorative work such as full mouth reconstruction can be very challenging and demanding, as well as time consuming. 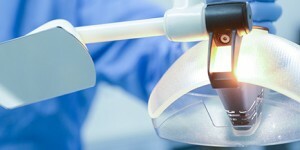 Many GDPs prefer to pass on more complex cases to those with more advanced qualifications and expertise in this field. 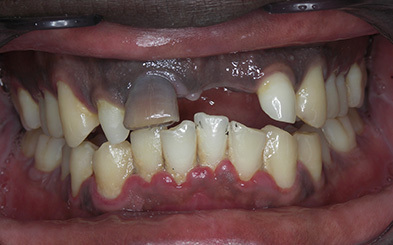 There are various ways of replacing missing teeth. 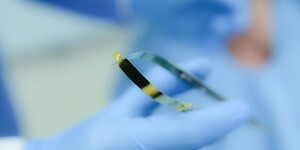 Two of the main methods are dental bridges and partial dentures. Partial dentures are removable sets of false teeth, while a fixed bridge is composed of a false tooth fused to neighbouring crowns. 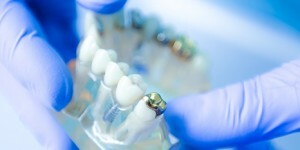 Bridges are generally used when there is a single missing tooth or a small number of missing teeth. We can repair broken or chipped teeth using fillings and crowns, but it may be possible to prevent injuries and accidents, especially if you play sports on a regular basis. We make custom-made mouthguards to protect the teeth. A denture is an appliance that is used to restore missing teeth, working to restore function to the mouth and create a healthy, attractive smile. They enable you to eat properly and speak clearly, with many modern dentures being light and lifelike in appearance. Complete dentures, also known as full dentures, replace entire arches of teeth, while partial dentures replace a few missing teeth and are attached to the natural teeth using metal clasps or precision attachments. 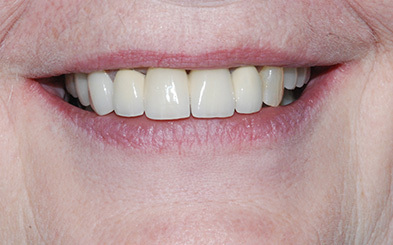 You can also use our Denture Stabilisation services. Need to know more? Contact Us today, we’d be delighted to hear from you and book you an appointment with one of our highly experienced restorative dentists. 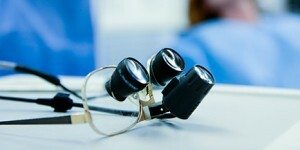 Here at Gipsy Lane Advanced Dental Care we offer a professional restorative dentistry service in Reading. 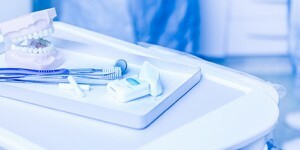 Why not visit our General Dentistry pages to find out more about the services we offer. If you would like to make an appointment for your child to meet with one of our friendly dentists, Contact Us today.